We've made it simple for you. Choose from one of our suggested itineraries below, or pick from a few favorites to create your own! We've included a mix of popular restaurants, activities and other "must-see-and-do" experiences, as well as hidden gems that we've uncovered along the way. Feel free to add your recommendations at the bottom of each itinerary, as well! Tips on packing light, safety, lodging, and our favorite apps for music and travel. Simon Davidson, Charlottesville’s most prolific food writer, draws on decades of experience and shares tips on where local lovers of food and drink go in Charlottesville. 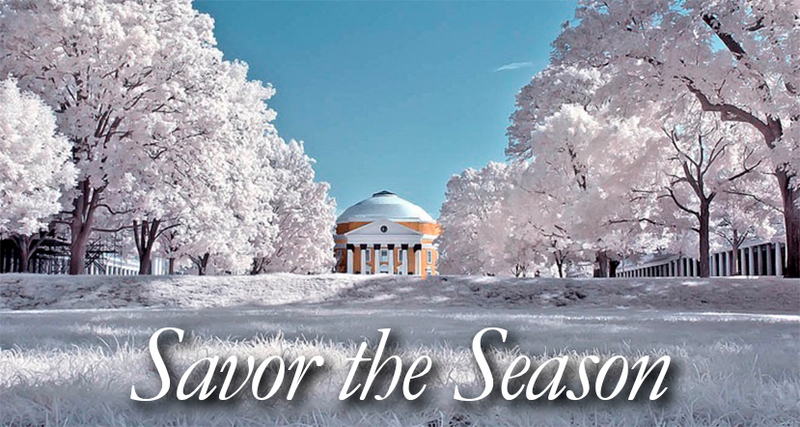 Four days of ideas on how to make the most of Charlottesville in the winter. Warm up to some of the area's coolest activities, historical landmarks, and local hot spots. This three-day itinerary is geared towards the outdoors explorer and food lover, with a balance of adventure and rejuvenation. Choose among our suggestions or conquer them all!